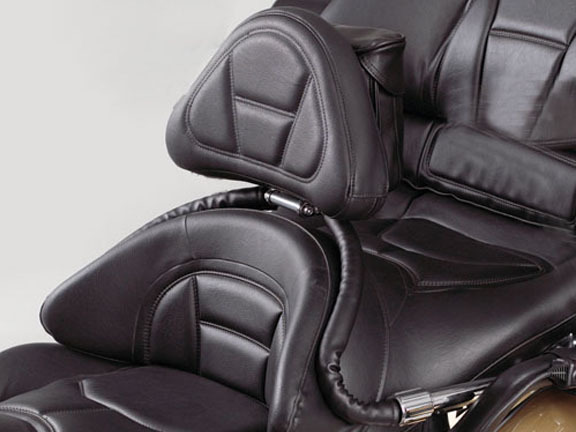 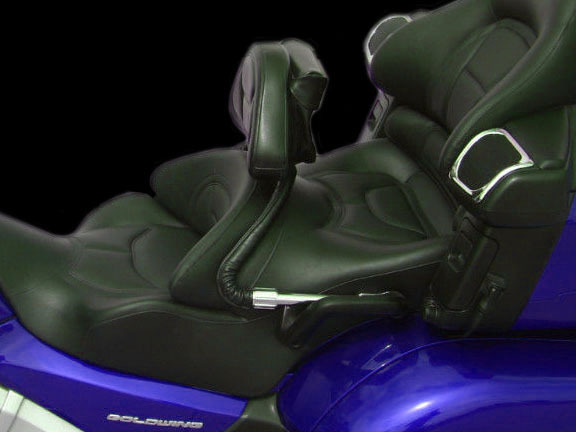 Goldwing GL1800 Driver Backrest incorporates contoured black pad and black removable tube covers. 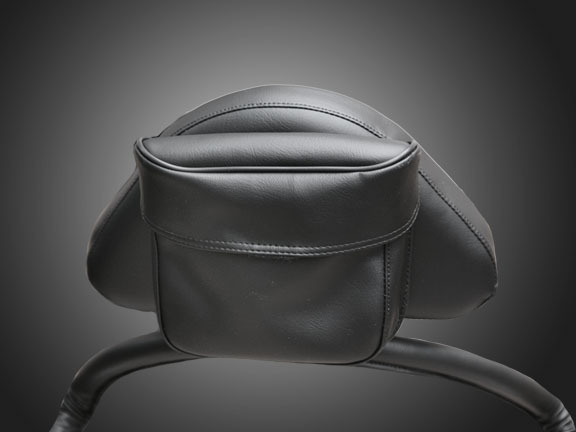 The backrest pad includes a rear pouch. 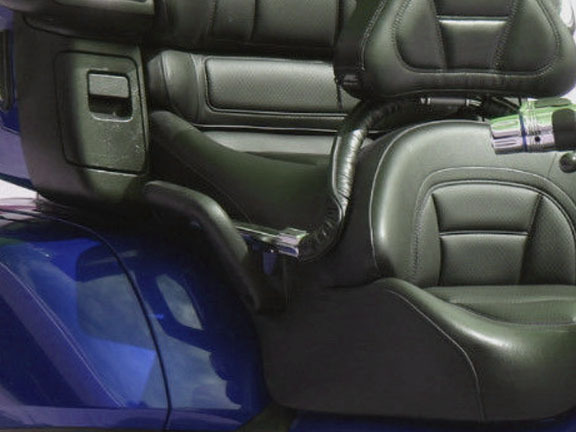 The unit bolts to the passenger handles. 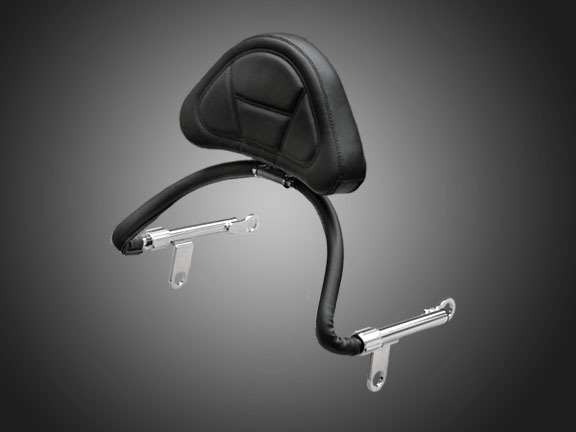 Backrest adjusts forward or back. 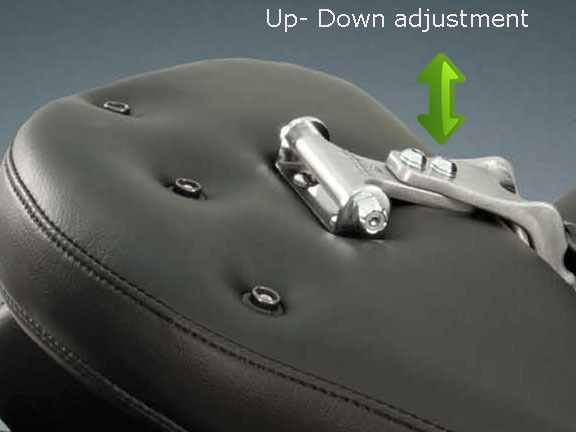 13" x 7" pad folds down. 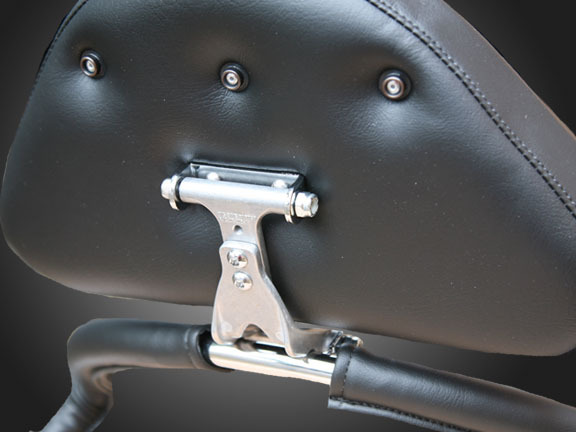 Adjustable tongue allows backrest pad to mount up or down with 1" of adjustment.